July has proved a busy month for Sunseeker Turkey, as the sales team confirm a number of sales and new listings. In addition to the completion of the Sunseeker Manhattan 70 “ZARIF II” with Sunseeker London, the Turkish Sunseeker distributor has also announced the sale of the Portofino 48 “GUZEL” together with Sunseeker Poole. A highly popular model, the Sunseeker Portofino 48 will now make its way from Turkey to South Korea where she will be used by her new owner. 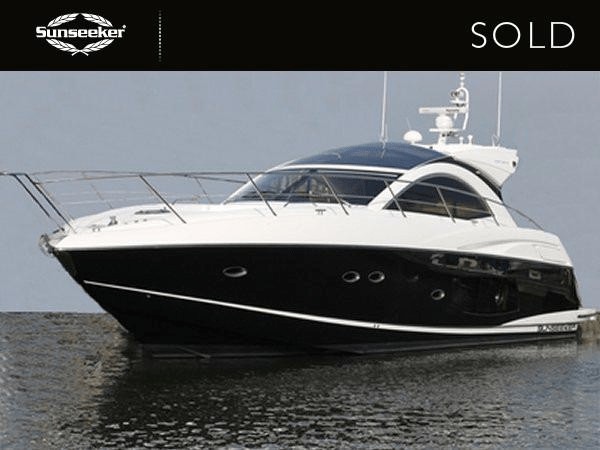 Another notable listing from Sunseeker Turkey this month is the Manhattan 60 “SARP”. With only two owners, the 2006 built flybridge yacht is in great condition and is well known to its local Sunseeker office in Turkey. No expense has been spared with her maintenance, and a full time crew has been on board “SARP” since new. Asking €695,000 ex Tax and lying in Turkey, she represents an excellent opportunity. The full specification for the Sunseeker Manhattan 60 “SARP” can be viewed and downloaded on her dedicated Sunseeker Brokerage page HERE.